Another Pogba in the making? Manchester United used to be the place where young players always want to play and flourish. And, the unwritten rule, was that players moving out of the club - voluntarily or otherwise, find it difficult elsewhere. Till, Paul Pogba, at least. The talented Frenchman went on a free transfer to Juventus in the summer of 2012 and became one of the hottest prospects in world football. The saga is about to repeat itself with the Belgium-born midfielder Andreas Perreira reportedly rejecting a new United contract. Perreira is widely regarded as one of the gifted youngsters and currently finds himself down the pecking order at United. The gifted youngster found it difficult to break into the first team and just made one substitute appearance. Perreira made no secret of the fact that he rejected the offer made by United. What he also put on note is that he's had a discussion with Pogba who told that he would be well served in Turin. There are other interesting clubs on the horizon too with PSG and PSV circling the club with preying eyes. 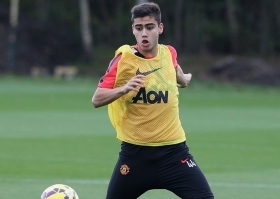 Most of the reports coming out of Carrington speak highly of the capabilities of Perreira. But, with a plethora of world-class players ahead of him like Juan Mata, Di Maria, Herrera, it is difficult for Perreira to get more game time. The player believes that he needs more quality time on the pitch to further his education. He's not getting it at Manchester and he may end up getting it at PSV or PSG or Juventus.